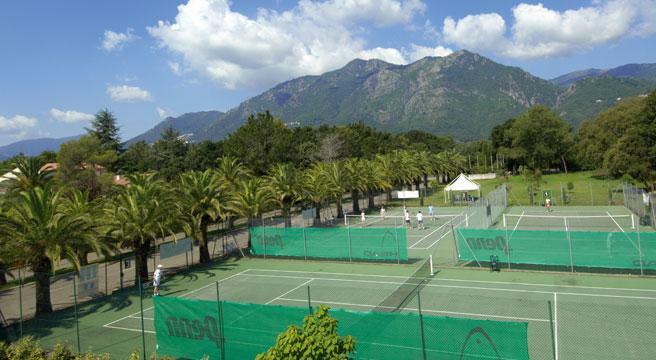 This is an action-packed holiday on the French island of Corsica and offers outstanding value with activities and all meals, with wine at lunch and dinner, included in the price! Our partner for this holiday is the well-run San Luciano Beach Resort which Hosts for us. The activities team lays on six days of water-sports activities each week, with group instruction in windsurfing, sailing and kayaking, plus the growing activity of stand up paddle boarding. The gently shelving beach and light to moderate breezes make this a great place to learn and to improve. 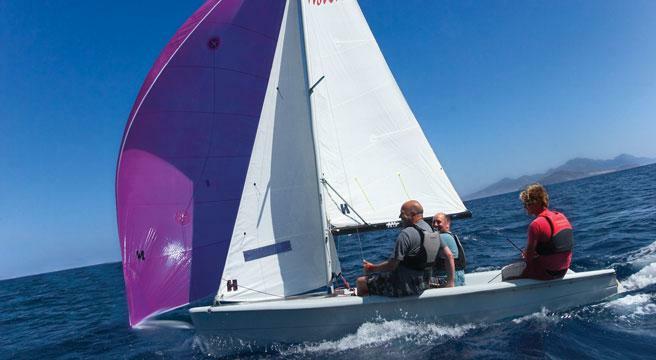 RYA courses in sailing and windsurfing, along with PADI scuba diving and a tennis coaching programme are also offered, all at extra cost (ask when booking: do not wait until you arrive in Corsica). Other activities include volleyball and a range of fitness classes. There’s hiking or running in the rugged Corsican landscape, and bike hire. 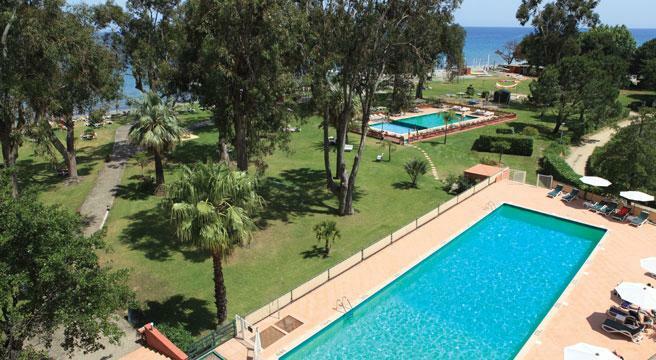 The centre also offers two pools, a restaurant and two bars, plus attractive gardens and immediate access to a long sandy beach. Choose this holiday if you’re a sporty type who likes to get a suntan while keeping busy! Guests may be single travellers, couples, friends or families. Our departure dates make it less likely that there are children on site, but we cannot guarantee this. The 95 rooms of San Lucianu Beach Resort are set in a 4-storey building at the heart of the water-sports centre. 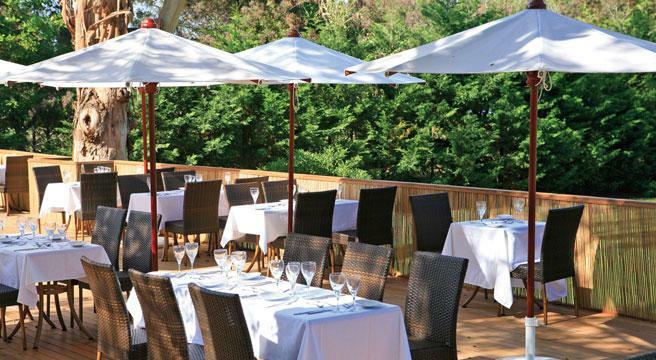 Most meals are taken al fresco on the dining terrace which overlooks the garden, and single travellers eat together around one or two large tables. Chefs serve up tasty and energising food at the buffet and grill, using local ingredients: the pizzas score highly! The main building includes a bar, but by day the lively beach bar is the social hub of the centre and also offers all-day snacks (pay as you eat – not included in our package). It’s a great place to relax with a cold drink in hand while you take a break from falling off your windsurfer! The attractive grounds include an adult only pool and a family pool. Our departure dates make it unlikely that children will be on site, but we cannot guarantee this. 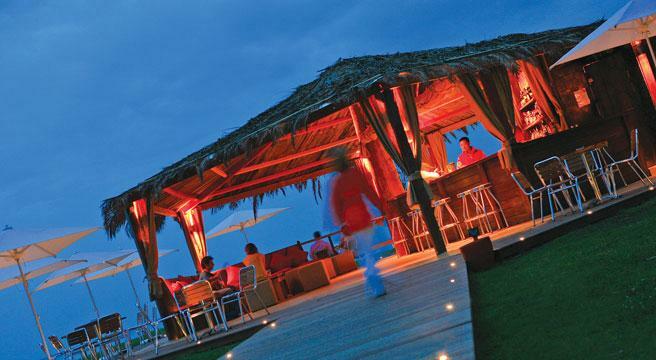 San Lucianu Beach Resort is to be found on the ruggedly beautiful east coast of Corsica. The island is served by direct flights from London only. Located on a long stretch of sandy beach, with soaring mountains as a backdrop, it is set amongst elegant gardens and eucalyptus groves. A 30 minute drive away is the picturesque old port town of Bastia, with its fine Baroque churches and elegantly crumbling houses. If you fancy exploring, there’s wonderful walking to be had in the mountains (ask at Reception on arrival), and the nearby Domaine Vico vineyards are worth a visit, but do not expect easy access to sightseeing: this holiday is all about the activities! 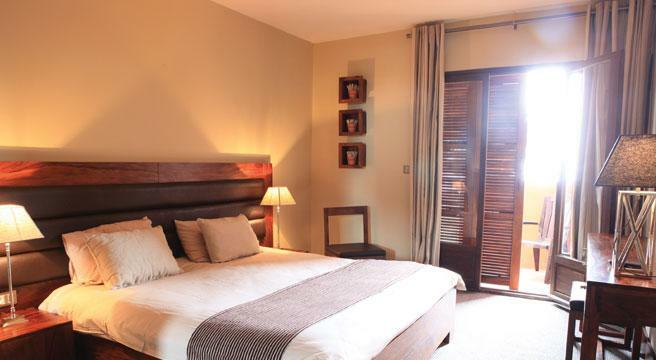 The 95 rooms are of a good standard and stylishly decorated. Each of our Standard rooms for sole occupancy has a balcony, air conditioning and satellite TV and our prices are based on inland views, which may take in the island’s rugged mountains. Upgrades, eg to a Sea View or a Superior room, are available at a supplement. Reception has safe deposit boxes and hairdryers. Upgrade to a Superior room from £22 per night. Book early for lowest price: flight costs can increase. No current offers for this hotel. ATOL-bonded flights from London Gatwick and Manchester only. Design by White Gate Design.